Many seniors turn to a reverse mortgage to provide additional monthly cashflow to help with their monthly expenses. Seniors who decide against moving from their home into assisted living communities usually opt for in-home care and use a reverse mortgage to help pay for the private home care. A reverse mortgage, also referred to as a home equity conversion mortgage, allows homeowners to tap into the equity of their home while maintaining ownership of the home. Property must be a single family home or a 2-4 unit home with the borrower living in one of the units. By submitting this request for information, I hereby provide my signature, expressly consenting to receive information by email, auto-dialer and/or pre-recorded telephone calls, and/or SMS messages from or on behalf of SeniorHomes.net and its fulfillment partners and may agree to receive other offers on my telephone number I provided above, including my wireless number, even if I am on a State or Federal Do-Not-Call list. I understand consent is not a condition of purchase and that I may revoke my consent at any time. 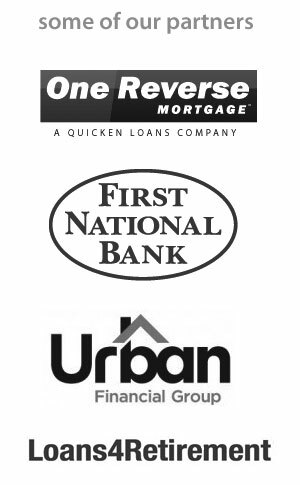 Important Information: Reverse Mortgages are neither "endorsed" nor "approved" by the Federal Government. The FHA (Federal Housing Administration) provides certain insurance benefits for reverse mortgage lenders and borrowers in connection with the lender’s HECM loans; the FHA does not make or originate loans. It is strongly advised that you consult with your family and / or trusted financial planner when considering any reverse mortgage loan.